The Hotel Villa Vecchia (****) is located just outside Frascati in a magnificent location in the center of the Castelli Romani, surrounded by a beautiful park and nestled between art and nature. It is in fact just next door to Villa Mondragone, in front of the Barco Borghese Archeological area. The hotel has meeting rooms and a fully equipped congress center, complete with technical equipment, ideal for the needs of its clientele (included in the room rate). 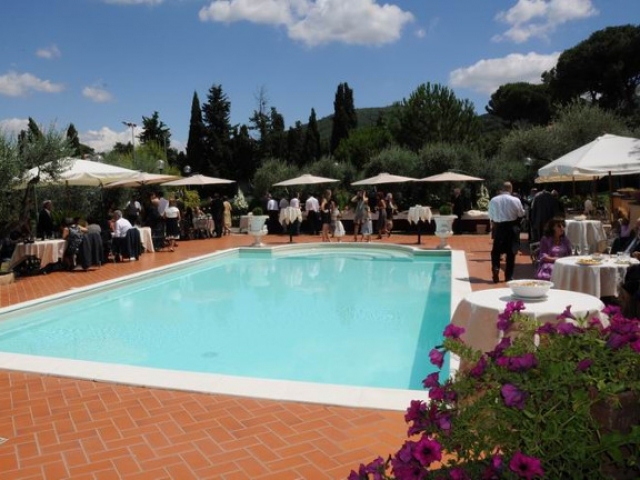 Villa Vecchia is also ideal for your wedding reception. 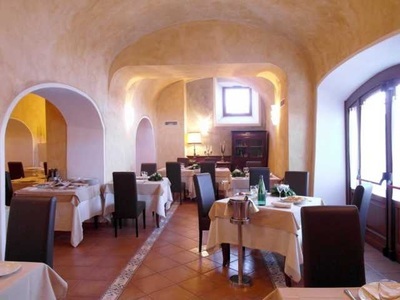 Villa Vecchia has 96 renovated rooms, combining elegance and sobriety, air-conditioned, with colour satellite TV, pay TV service, mini bar, direct dial telephone, Wi-Fi in public areas, electronic safes, bathroom with bath and/or shower, hair dryer. Some rooms have facilities for the disabled. 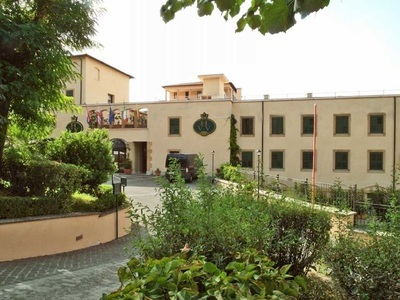 The park surrounding the hotel offers the opportunity to walk around and admire the ancient ruins and the lush vegetation of a wide variety of flowers and trees. The park also has facilities that allow inviting and healthy relaxation. 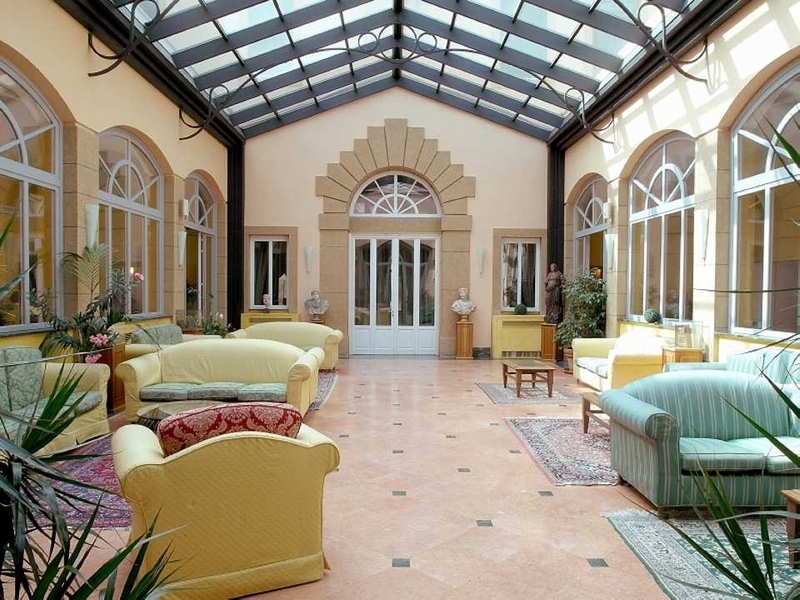 Inside the hotel a large hall and reception area, a bar and a comfortable and elegant winter garden enriched with beautiful pieces of art all offer guests a pleasant stay. The hotel has a panoramic terrace, offering spectacular views of both the city of Rome and the Castelli Romani. In the cool evenings you can spend unforgettable hours in an atmosphere that creates the best conditions to make every single moment a magic and unforgettable one. 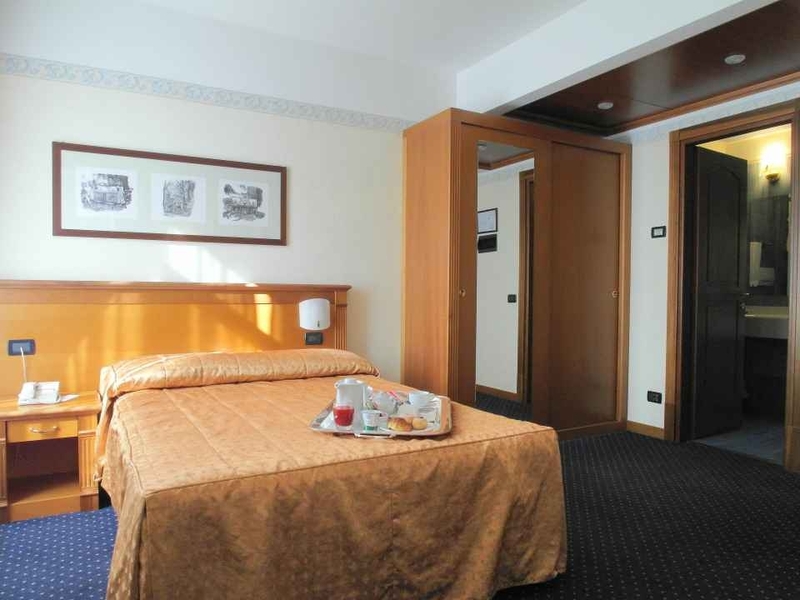 Prices are per room per night and are inclusive of continental buffet breakfast and taxes. Remember to deduct your 10% discount from these rates if you have the Easyfrascati pass!